Do you really want to know who your neighbors are? 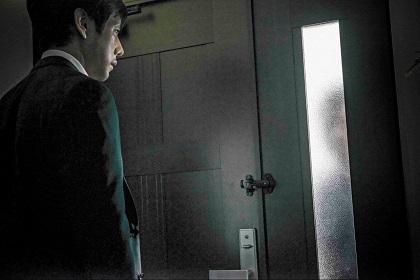 After a traumatic incident, criminal psychologist and former police detective Takakura (Hidetoshi NISHIJIMA) moves to a new neighborhood with his wife Yasuko (Yuko TAKEUCHI) to make a fresh start. Upon meeting their new neighbors, the Nishinos, Takakura senses something odd about them. Then he is approached by the Nishinos' daughter, whose shocking whispered confession shatters the serenity of his new life: "That man in my house is not my father... He's a total stranger."